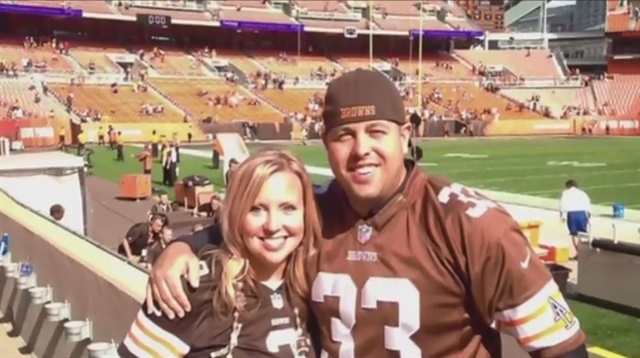 It's been nearly three years since police officer Justin Winebrenner died during a shooting at an Akron bar. Winebrenner, 32, was off-duty and tried to defuse the situation when an angry customer returned with a gun. The seven-year veteran of the Akron Police Department was shot twice while protecting others. Four more people were hurt during the shooting. A dozen members of the Browns knelt in prayer on Monday night before their game against the New York Giants. It was the largest group of NFL players to not stand during the anthem since former 49ers quarterback Colin Kaepernick started his anti-police protest a year ago.